Recollections of Life in Ohio is the autobiography of William Cooper Howells (1807-1894), father of the American novelist William Dean Howells. The Howells were Welsh woolen mill owners. William Cooper’s father brought the family to America in 1808–at a time when Great Britain actually forbid skilled workmen from emigrating, thus putting the father’s practical knowledge of mill machinery in great demand. Small scale industries–paper and woolen mills, flour mills, and distilleries were sprouting apace with farms in the newly opened lands of Ohio, where the Howells settled in 1813. This was a time and place where neighbors joined together to raise log barns and husk corn, where local peach brandy was a staple drink, and where religious revivalism permeated the social fabric, fanned by itinerant preachers such as Johnny Appleseed. The Howells were originally Quakers, but William Cooper’s father converted to an “enthusiastic” brand of Methodism, and William Cooper in later years followed the teachings of Swedenborg. 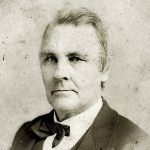 William Cooper Howells’ recollections see him herding the family pig down the road with a noose around its hind leg, acting as “corner man” at a log barn raising, curing tobacco in a smoke house, grubbing stumps, fighting snakes, and wrestling with what it meant to be “religious” at the camp meetings to which father took him. Early on, William Cooper showed a literary bent and an interest in politics. He became a printer and a newspaper man and, in the 1870’s and 80’s served as U.S. consul in Quebec and Toronto. The novelist William Dean Howells writes of his dad in the introduction to the Recollections: “My father was always a very close and critical observer, both of nature and human nature and equally a lover of both. 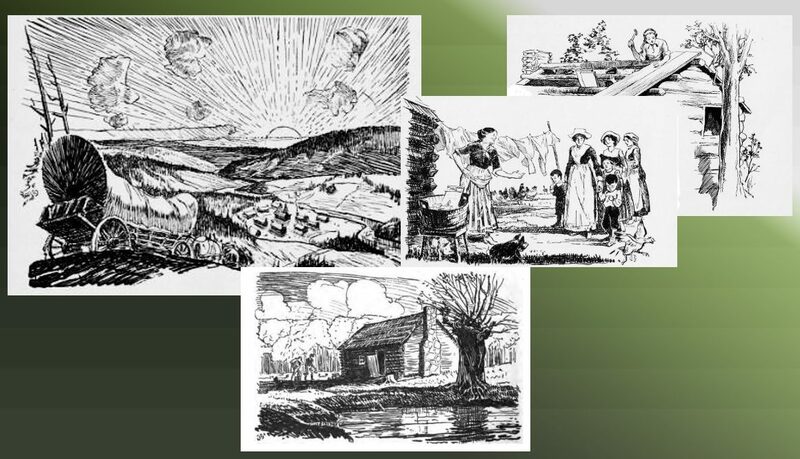 He was not a poet in the artistic sense, but he was a poet in his view of life, the universe, creation; and his dream of it included man, as well as the woods and fields and their citizenship.” Recollections of Life in Ohio is a fascinating and enjoyable listen for anyone interested in U.S. frontier history.